Just follow five guidelines to put our content on your dairy website. An unexpected thing happened after we launched the U.S. Dairy Exporter Blog in February. Our blog's editor, Mark O'Keefe, set up a “Google Alert” to notify us whenever the blog was mentioned online. These alerts revealed that dairy trade publications were not just referring to our blog’s market analysis, research and news. They were copying and pasting our blog posts verbatim, in their entirety, as articles published on their sites. Then it hit us. This could be a good thing. We contacted Dave Natzke, editor of Dairy Herd Management, one of the publications running our posts, to see what he thought. We appreciate the compliment, and respect the work of dairy trade publications we have partnered with for years. But why should we allow our content to attract eyeballs to sites other than our own? “We have an audience that doesn’t go to blogs all the time so we’re another means for you to get your information out there,” said Natzke. That makes perfect sense. It's why we are making an offer today to all dairy websites reaching U.S. processors or farmers -- our primary target audiences. To USDEC member companies looking for relevant content for their websites, to cooperatives looking for export information for their newsletters and to dairy bloggers seeking guest posts, consider our blog a shareable resource. The first thing you should do is subscribe here to get our blog updates delivered directly to your inbox. Use our USDEC name and logo. Branding isn’t just for cattle. Retain the byline. It helps establish USDEC staffers as industry thought leaders and gives Google another item to include when people search for us by name. Republish our entire post. It has been said that writing is 1% inspiration, and 99% elimination, but we’d like to do the eliminating ourselves. Publish all the hyperlinks in the post. If you do, we’ll get some traffic coming our way. If you don’t, our blog editor may get hyper about no links. Don't reuse stock photos. Some stock photo services troll the Internet so their copyright attorneys can go after violators of their fine print. If we use a stock photo we will tip you off (see bottom, left, of this post for example). For USDEC photos and charts, it's OK to republish, crediting us, of course. If you need a higher resolution photo, or have other questions, send an email mokeefe@usdec.org. The reuse of our blog posts happened spontaneously, but it's actually a marketing strategy called “content syndication,” a fancy name for republishing. We didn't create this blog with that strategy in mind. Instead, we saw it as a key component of a larger plan to become our own online publishing house. 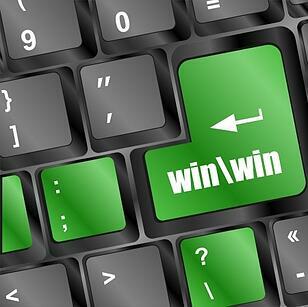 Nonetheless, we are convinced this new content sharing strategy is a win-win. Dairy websites win by getting free, accurate and insightful content from the go-to source of information on U.S. dairy exports. We win by reaching a broader swath of our target audience. So go ahead and republish our blog posts.